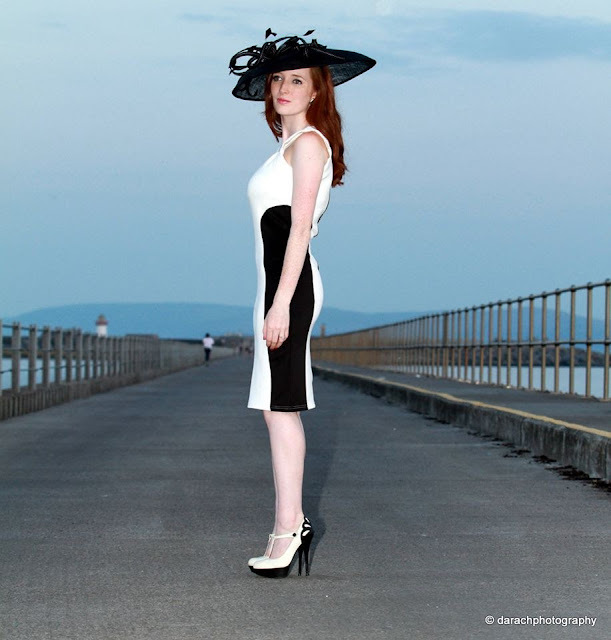 I am so excited about the Galway Races which are on next week. It really is a Galwegian fashionistas favourite time of year and I am looking forward to seeing all the style on display over the week. 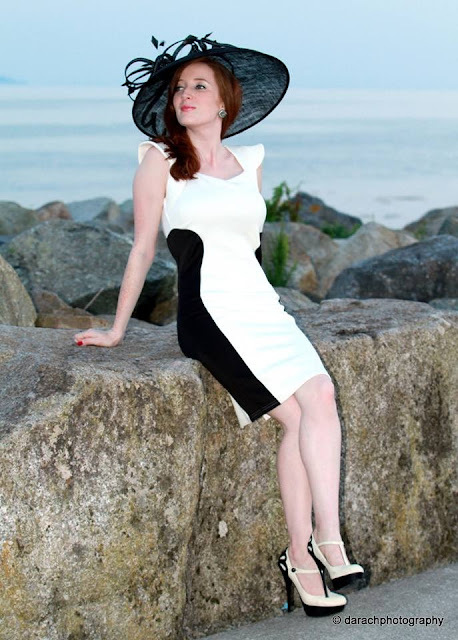 If you are still deciding what to wear to Ladies day here is some inspiration featuring the third and final part of my collaboration with Miss Luxe. You can read my first review here featuring a gorgeous coral maxi skirt and the second feature here where I wore an edgy grey skater dress. These photos were taken by one of my favourite local photographers darachphotography. We had so much fun shooting this look and I even found two companions to go with the outfit! The dress is from Miss Luxe and retails at £24.99 which I think is amazing value for such a beautiful dress. 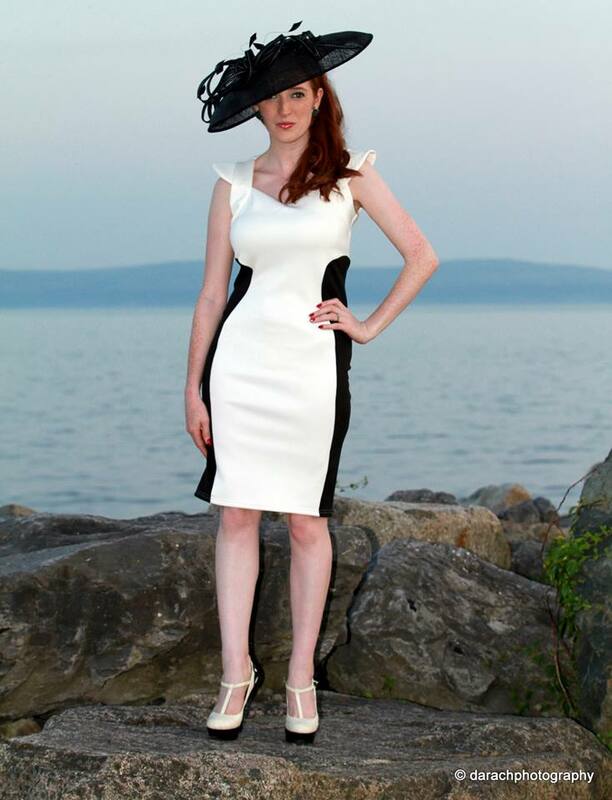 I chose this piece as I have not styled many white dresses and I think it has a very glam feel. 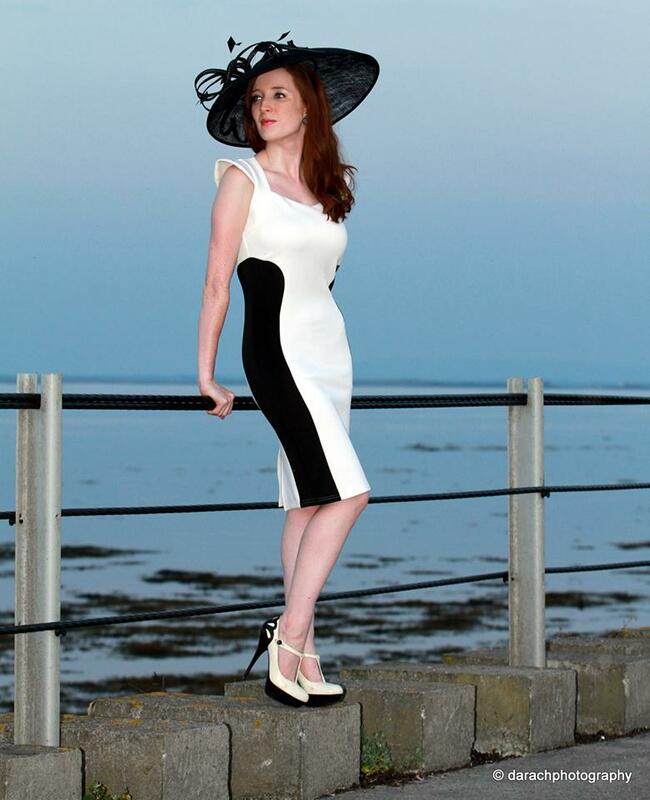 With the Races just around the corner I decided to take inspiration from Ladies Day and show how a classy monochrome look can work at these events. 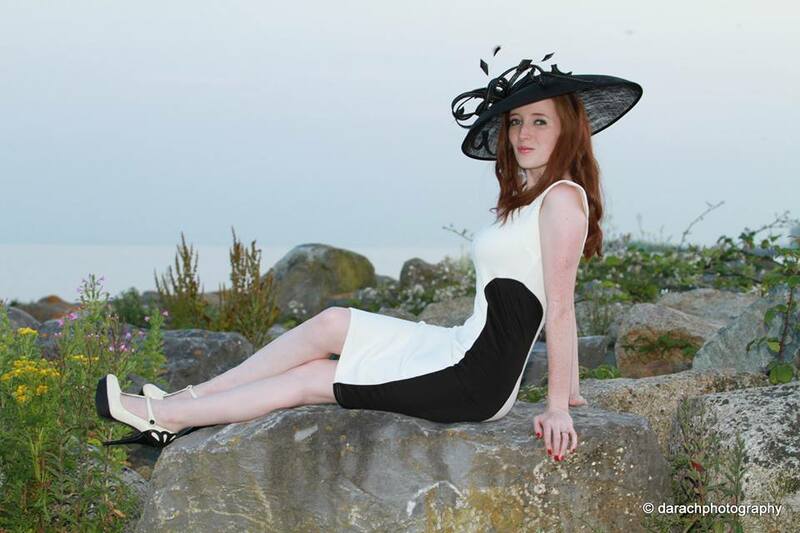 The hat is from Debenhams and I wore my favourite white and black shoes from Schuh to complete the look. I actually love this dress so much I wore it to a birthday party last weekend also and everyone complimented how fab it looked. The design is really slimming with the side panels and it also comes in reverse black and white. There is a slit at the back of the dress and a really cool zipper design on the back. The material has a lovely shiny texture to it. I was slightly worried that I might spill a glass of vino at the party on the white dress however when inevitably a drop of tea did land on my lap I ran to the bathroom in panic and to my amazement it wiped straight off! It did not leave a stain or anything which is a major plus for white clothing! This was as a result of the texture of the dress and really impressed me. You can buy the dress here from the Miss Luxe website. I also love the shoulder detail and think that this is a very elegant look. 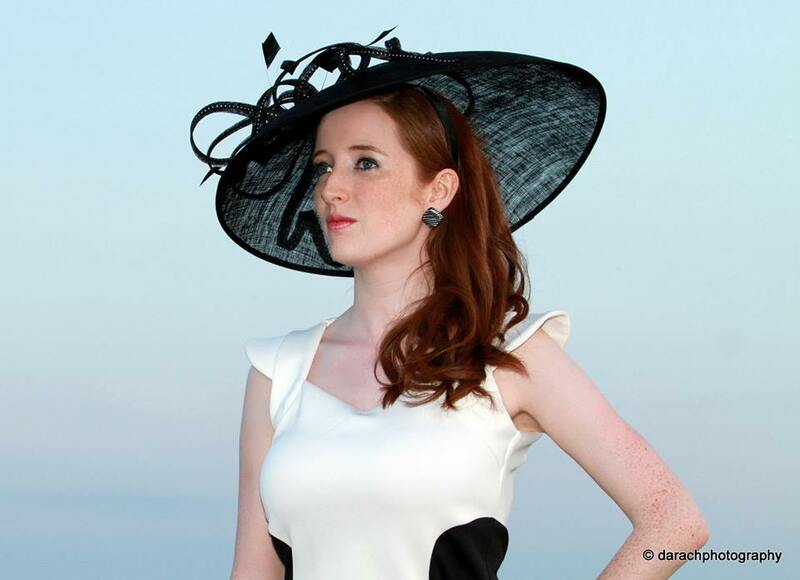 What do you think of monochrome as a style for racing events? 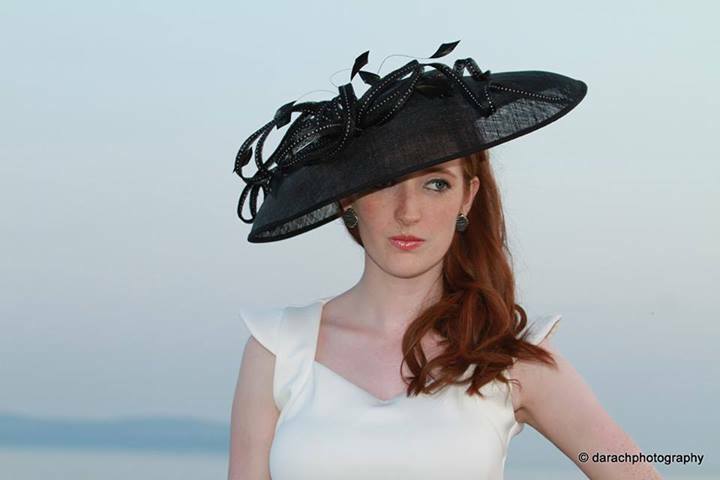 What will you be wearing to the races this year? Stunning! With your red hair, it’s so fab and a nice contrast!